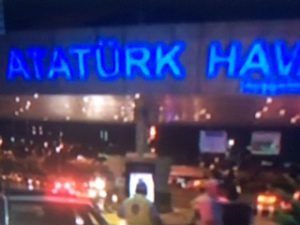 Sunni Islamist terrorists have killed at least 36 people after a brutal attack against Ataturk International Airport in Istanbul. The final death figure may increase because at least 130 people remain injured. Therefore, once more Sunni Takfiri Islamists have slaughtered innocents at random on a major scale. Of course, terrorism is nothing new to Turkey but recent events seem to be spiraling. Sadly, for the people of this nation, it is clear that President Erdogan and the security services have all played a role in the destabilization of Syria. In other words, just like Pakistan allowed terrorist and sectarian havens to develop in bordering areas of Afghanistan, then Turkey is facing blowback. 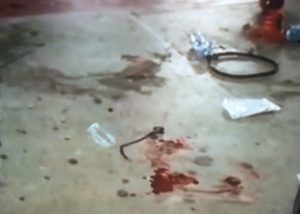 According to various sources, three Takfiri Islamists attacked the airport entry point in order to reach the terminals. Immediately, the Turkish police responded to events by firing on the terrorists. Shortly after this, the terrorists blew themselves up in order to increase the carnage. This terrorist attack in Turkey, like others, is evidence of the new volatile situation in this nation. After all, the armed forces of Turkey frequently clash with Kurds and attack villages. At the same time, several recent ISIS (Islamic State – IS) terrorist attacks in Turkey highlight the political intrigues of this nation based on the destabilization of Syria. It remains to be seen if Erdogan will change course because regionally Turkey is increasingly isolated. Yet signs indicate a possible thaw with the Russian Federation and other nations including Egypt. However, a genuine thaw can only take place providing Erdogan offers the branch of peace and refrains from destabilizing nations like Syria. Equally important, the leader of Turkey must focus on stemming the tide of deaths based on the Kurdish Question within the body politic of Turkey.